As a sophomore in high school, Jerry Lorenzo‘s love affair with sneakers truly began when a peer walked into class wearing a pair of Nike Air Raids. Outside of Jordan, this was the first shoe the Fear Of God frontman fell in love with, admiring its color blocking, the subtle nuances of its geometric patterns, and the tenacity of its forefoot crossed straps. “When the kid walked in the classroom with the Air Raid, no one told me that I was supposed to like the Air Raid. I was just drawn to it, the design, the colors. It was like, oh my God, what is that?” Lorenzo said. “It became interconnected with all these other real emotional things that were happening at the time of the shoe.” As he learned more about the origins of the Air Raid, he discovered that it was born from a basketball design ethos that has helped pave the way for his current aesthetic featured all throughout his Nike Air Fear Of God collections. 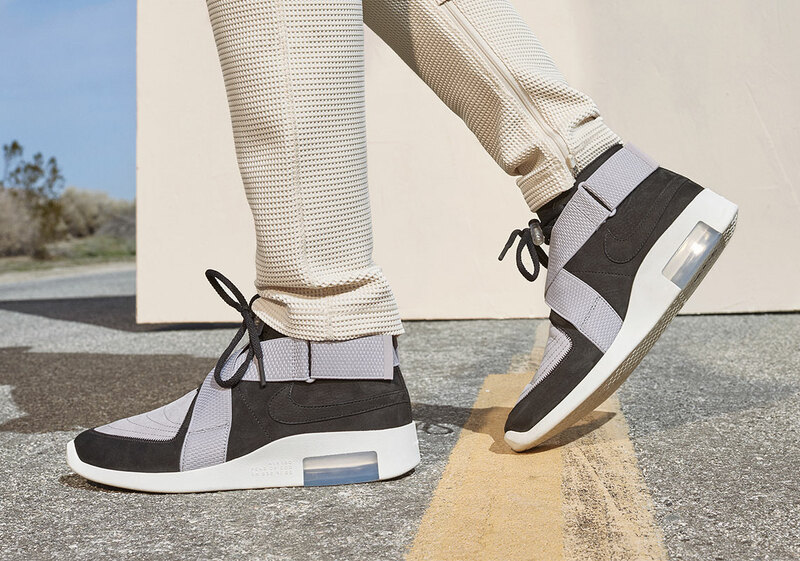 This Spring/Summer season Lorenzo’s own interpretation of the sneaker that helped fuel his desire, the Nike Air Fear Of God Raid, is highlighting a packed-to-the-brim collection of vibrant styles and colorways for both apparel and sneakers. Three colorways of the FoG Raid will be available with this capsule, two tonal takes that include a Black and Pure Platinum variety and a combination of the two that serves as a nod back to the pair that fueled his fire back in high school. Alongside that trio, Jerry will be dropping two striking colorways of the Fear Of God 1, one in Mind Green and the other in Total Orange as well as debuting the low-cut FoG Moccasin in a soft muted pink. As mentioned, the sneakers will not release on their own, as they will be accompanied by a double-hooded sweatshirt, a new T-shirt, and returns of the Nike Air Fear of God short and pant. Grab a detailed look at Lorenzo’s entire Spring/Summer collection below and expect it to launch at select global retailers on April 27th.